When MPC analyzes the queries it detects the use of real time functions and Server vaiables in SELECTs like Date/Time functions (NOW(), DAY, YEAR(), SYSDATE(),TIMESTAMP()…), functions like UUID() and other uses like LAST_INSERT_ID, CONNECTION_ID and those Queries are never cached. Queries using User-Defined variables and PREPARED STATEMENTS are detected and not cached. 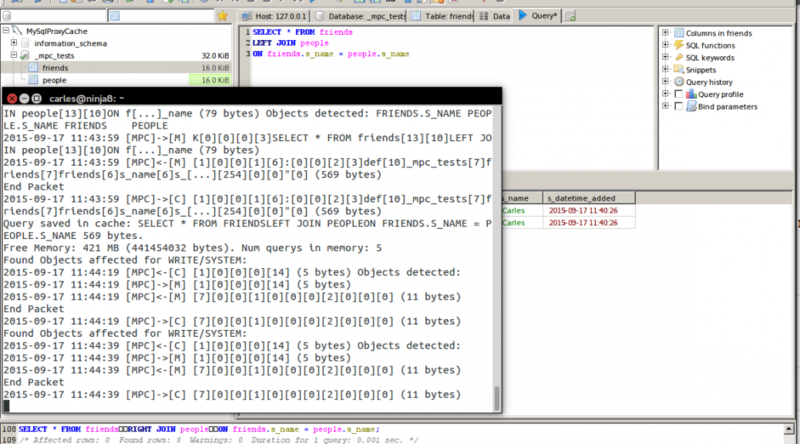 It allows to Debug and see all the conversation between the Client side and the MySql Server side. It detects queries that are the same with minor differences. Repeating queries is very usual and this feature saves you many hours of development.